The Best Moments From ‘The Dunk King’ EP2: What Else Can They Jump Over? If you were still awake after watching Steph Curry catch fire in the 3rd quarter of the GM2 massacre of the Thunder, episode 2 of TNT’s 4-part reality show/$100k dunk contest called ‘The Dunk King‘ aired. This episode featured a lot of the viral dunkers viewers were hoping to see in the first episode. Dunkers like Kenny Dobbs, 5’5 Porter Maberry and Myree “Reemix” Bowden, who recently made some noise by pulling off a reverse dunk over a 7’5 Mamadou N’Diaye. 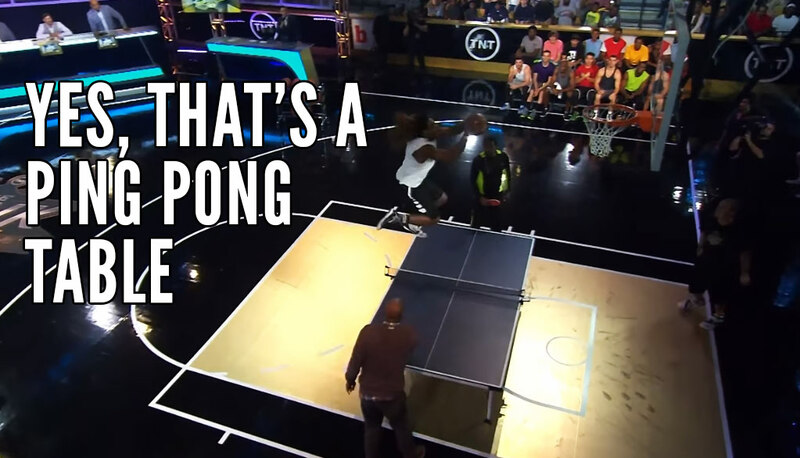 Some of the most memorable dunks of the episode were Jonathan Clark and his backflip dunk, Porter and Kenny having an over a motorcycle dunk-off, Reemix jumping over a car and Kwame Brown dunking over a game of ping-pong? !